To upload your completed channel to the Roku Channel Store you'll also need a free Developer Account from Roku. You'll need an account to begin using Instant TV Channel. Sign up for a free account now! 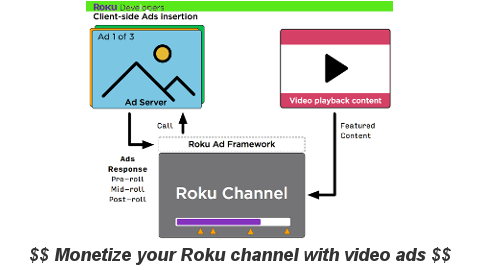 Build a complete Custom SDK or Direct Publisher Roku channel in 5 minutes or less! 100% cloud-based, no server needed. Up to 10 videos per Roku channel. Stream from any public web server, hosting service, storage system, or content delivery network directly to Roku devices. Support for BoxCast, Brightcove, DaCast, ScaleEngine, Vimeo, Vzaar, and other video hosting & streaming services. Playout "live" linear streams using scheduled VOD content. Track your Roku channel's usage with Google Analytics. 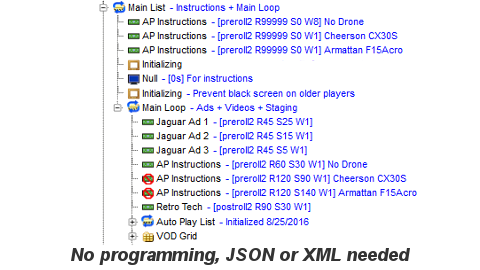 Design grid, horizontal, vertical, or combination channel layouts with unlimited nesting levels. Build SceneGraph Custom SDK channels. Build feed-based Direct Publisher channels. Includes all Free Channel features. Unlimited number of videos per Roku channel using your own AWS configuration storage. Up to 100 videos per Roku channel using included configuration storage. Optional MRSS feeds and playlists can be used to automatically load content into your Roku channel. Support for Brightcove, Vimeo, and Vzaar video playlists. Selected Roku channel areas can be password-protected. Create slideshows from image directories. Includes all Free Channel and Unlimited Channel features. 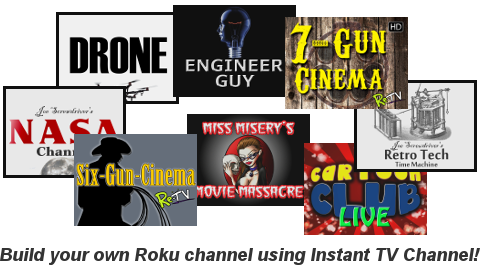 Paid subscription Roku channels using In-Channel Purchasing and Registration & Linking. Built-in ad server for automatic preroll, midroll and postroll video advertisements. Support for Roku Advertising Framework (RAF) and other VAST-compatible ad providers. 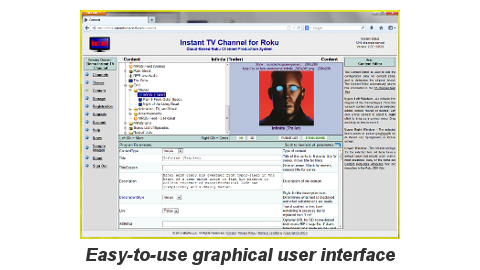 Fully brandable "white-label" Roku channel design.